In between February and July 2016, begins the initiative for develop Digital Telecommunications and Networking for the others collegues. The client platform adopted was MMDVM in GNU/Linux, and the Networking server platform was BrandMeister, all of them Open Platforms. This experiences were so successfully that the first original MMDVM arrive and beguns working at the same time the Chilean modem's version was in operations in Chile. This particular implementation of the ZUM board was designed by Andy CA6JAU, and we called it the JAU board. In October 2016, Chile is the Host for the IARU Region 2 General Assembly, and in this opportunity the Workshops were illuminated with an FT-897D with the original MMDVM and connected trough BrandMeister. 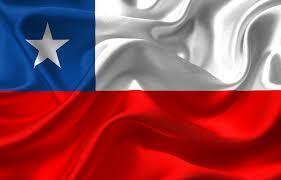 From this day Radio Club of Chile CE3AA, begins to get engaged and give support for this initiative in the country. In 2017/2018 the original members of the group already have the same level of skills. And the number of HotSpots running are not less than 15 permanent on-line plus 8 repeaters permanent on-line, being the majority of them home-brew, and based on MMDVM running Pi-Star OS. Good time for to concrete our own Master server, that it was ready for, in the middle of 2017. Our growing was really so fast, that the experience gained in this process, we hope were a good reference for other colleagues in other South American countries. We begun to build good alliances with them, and begun to share our experience like a first support in their owns initiatives. I hope it were a good journey, for today and for the future. 73099	Link to Wires-X Miami Latino room. 730911	Ham Emergency Networks dispatcher, and field working. 73090 CE3SER team EMCOMM Field Coordination group.